Welcome back for Day 17, if you are just arriving for the first time all the details and the linkup can found HERE. Today I have Altenew as my guest along with some of their designers. Altenew is both a guest and a sponsor offering to one lucky winner a $25 gift certificate for their online store! Gifts or gift cards? comment for your chance to win. Yet more pretty happening, Tracey! Your star is a simple, lovely WOW! Gifts and gift cards: a little of both! These are all gorgeous..I tell you, bloggie land has been sooooo busy with tag making because of you! I prefer buying gifts for people - especially when I know what they want... but some prefer gift cards, don't they? They are easier to wrap, that's for sure! Gifts for the little ones but once the children, grandchildren etc reach 16 they like to pick their own so a giftcard is a better option. Certainly not cause Icant be bothered but because I would rather they had something they wanted than a gift thrown to the side. I live really far away from my family, so I typically choose gift cards. I don't get to see them at Christmas, so I send them a gift card about a week early so they can either buy themselves a gift in time for Christmas or wait until the sales after Christmas if they want. I know it's more impersonal, but it gets super expensive to ship a bunch of presents and this way they get exactly what they want! Sometimes I give a gift and a gift card. work for lots of celebrations. I would rather give gifts but everybody buys what they want when they see it so it's hard to find something to buy for them. I have the same problem when they ask what I want - I don't know. Gift cards seem like a cop-out though. Wonderful tags! I love these Altenew images! I like both. Some people are excellent gift givers and have a knack for finding the right thing for you, some are not. Ha! So it depends. But a really well thought out gift is always better than a gift card I think. Oh these are gorgeous! I like to give both as it depends on what someone really wants... But gifts are more fun hehehe! Elegant seems to be the word for these beauties! I prefer gifts, but sometimes, a gift card fits the shoes better, especially when the recipient always seems to have everything. So, I guess my answer is BOTH ;). Blessings, love! I love Altenew!! I do gifts and some gift cards too! Love the hanging star on your card :) I do both gift cards and gifts, depending on the recipient. If I know the person well and can find a gift I know would work for them, I prefer to go that way. But if I can't find anything, then a GC it is. Swoon!!! Love these (and I'll get around to commenting on the rest of these blog posts one of these days). Off to post my latest Tracey inspired tag. I'm having such a good time seeing all of the tags being shared here Tracey!! Today is no exception, these are marvelous!! I do both gifts and gift cards. I would prefer to do a gift, but sometimes a card seems better for the individual! Beautiful tags by all! I usually give gift cards or money. Beautiful tags, the burlap one is very unique. Your one is simply gorgeous Tracey! 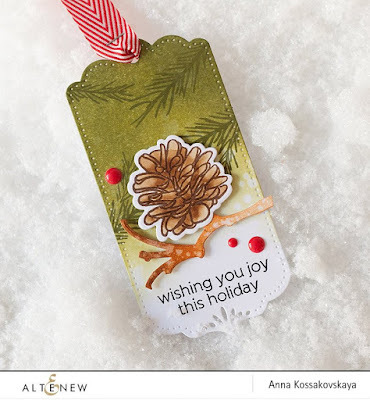 Love your CAS design and the deckled edge along the bottom of your tag is fabulous! Beautiful tags ladies. Love the pretty Altanew images. That star is super on your tag Tracey. Gift card... I am fussy. I like to buy the exact thing. I reeeeally love these tags! There is something about Altenew's products that makes creations look soo elegant and sophisticated! ... I like to pick out gifts, usually I will just buy gift cards If I don't know someone that well. I would rather give gifts instead of gift cards. So I'm totally not anti-gift card. For example, I would LOVE a gift card to SSS or EH People couldn't really shop crafty supplies for me, but it would be great joy for me to shop :) Kids, gifts. Adults and teens, gift cards. Tags, tags, and more tags! I am seeing tags everywhere - you are an inspiration, Tracey! Love the simplicity of your tag. Everyone's tags are gorgeous! Gift cards are wonderful to give and receive so I vote for gift cards! What great tags! I love giving gifts, but with people I don't know well, I like to give gift cards so they can get something they want. Mostly gifts! These tags are all so very pretty! Love these tags. Love your red on white star, simple and elegant! I usually give gifts, except for the teens in my family. They always ask for gift cards for after Christmas deal shopping. 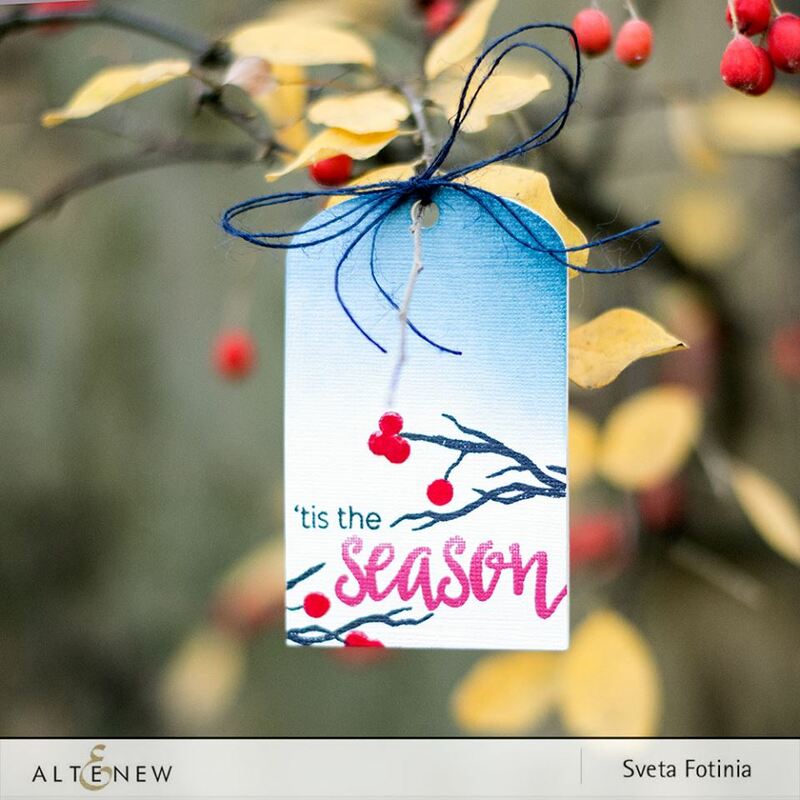 Love the classy stamps of Altenew! 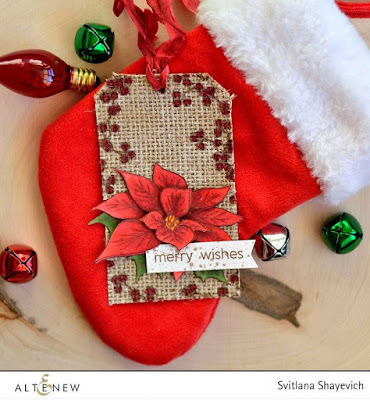 That burlap tag is awesome!! Gifts AND gift cards...bring them on!!! Thanks for more inspiration, so beautiful. I do both gifts and gift cards. My favorite gift card gift is for my 92 yo aunt. Every year I give her a variety of gift cards from restaurants, mostly fast food, it's what she likes and at 92 I think she can eat whatever she wants. $10 goes a long way when you only order a burger and a senior coffee. She loves her gift cards. Gorgeous tags today! 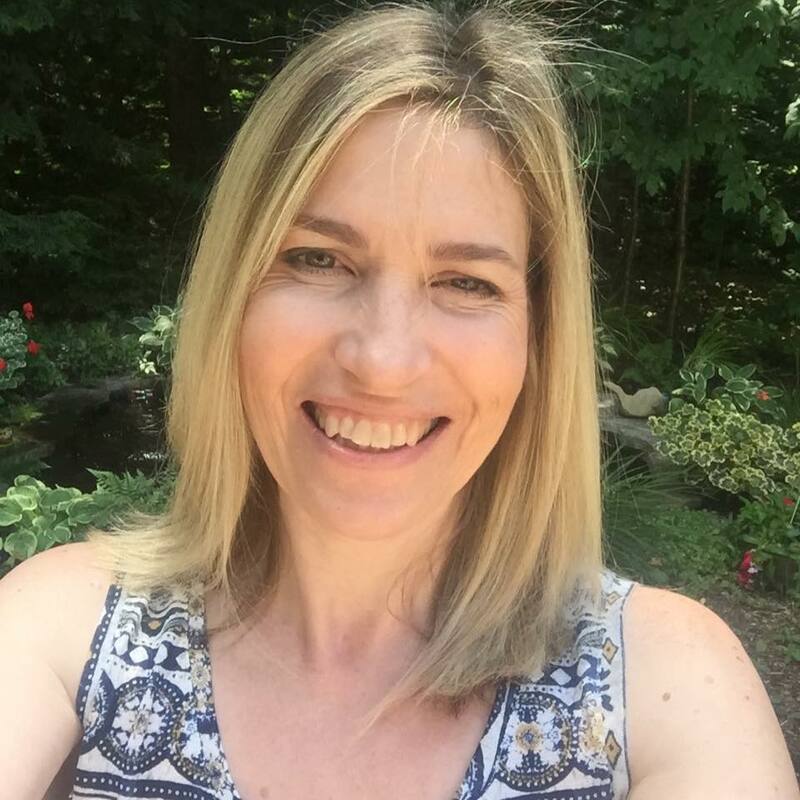 I so look forward to your posts every day to see what inspiration I will find! Gifts more than gift cards! Gift cards are my emergency back-up plan! Gorgeous samples today... LOVE Altenew stamps. LOVE the CLEVER sentiment on your star ornament Tracey - such a PRETTY and COOL design!!! Lovely and beautiful tags from Altenew today! Love the beauty of the winter nature. Such a variety of tags, all beautiful! Gifts or gift cards - really depends on the recipient, how well I know them and if they need or want anything in particular. Gorgeous! I have more ideas than time! Your tag is so crisp and clean. I prefer giving gift cards so people can get what they want and I don't have to mind read to figure out what they really want or need. Beautiful tags! the first is my favorite. Stunning!! I prefer to give gifts but gift cards work on occasion. I like to give gifts but there are those folks who I give gift cards every year. I prefer gifts to gift cards but sometimes gift cards are a better option than mailing gifts. Beautiful tags! Your CAS tag design is gorgeous! I prefer gift. But sometimes a gift card works better. All of these are so elegant! I love to give, and receive, gift cards! I prefer receiving gift cards and giving gift cards! Beautiful tags. Gift cards works best for us and the recipients. They are accompanied with a handmade card or tag. I prefer giving gifts!! Love today's tags!! Love Altenew stamps!! Gifts but sometimes a gift card is what they want and then I usually give a gift with it. I love today's tags--every one of them! I was just looking at my burlap which hasn't been used in ages, so now maybe I'll get another tag made. I love your fresh, modern design, Tracey! We mostly give gift cards these days, but I miss not picking out presents & wrapping them. I like to give both...it just depends on the person. Fabulous tags,all so different and wonderful. I do both gift cards and gifts, depends on the person and were they live. Wonderful tags! I like to give both. I love all Altenew creations, so beautiful and Your one is so simple and elegant with bold red star! I prefer to give gift cards and receiving too! Altenew is becoming one of my favorite stamp companies!!! Love these! If I can find the *perfect* gift, then most definitely gift, but if not I sure do love to give (and even receive) gift cards. Gifts or gift cards? Neither, since we don't exchange gifts at Christmas. Love all the Altenew goodness today! I say gifts unless you are completely stumped as to what to get. 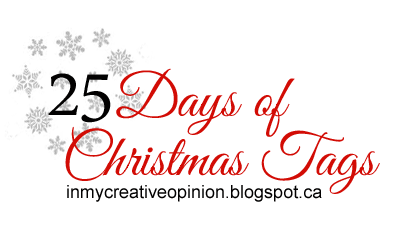 Gift cards are fine, but I love unwrapping presents, so I try to do the same for everyone on my list! I do mostly gifts but a few gift cards also. Now a days I really like gift cards. Love your one layer tag. Pretty tags! I do both, for the teens I get gift cards to their favorite store. I like to buy gifts but for those hard to get people, GCs. I actually don't like shopping at all, so can I say c) none of the above? Bah humbug. I've given plenty of gift cards. Wonderful tags! 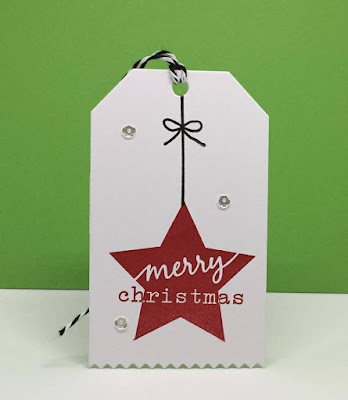 I love the clean and simple design of your tag so much with just a hint of shine with the sequins! I love choice, so I'm all about gift cards! When I give them, I make something special to put them in. Gift cards. And for my children and older grandchildren- they get money. That's what they want. That's what they get. Love your tags for today. That star with the white on red on white is fantastic. Gifts or gift cards...I'm always happy to have any sort of gift.